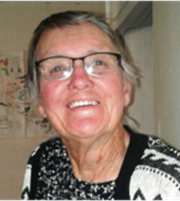 Over 18 years ago “Shanni” founded the Mpala Community Trust and the Nomadic Communities Trust, which would amalgamate to become Communities Health Africa Trust (CHAT) in 2008. 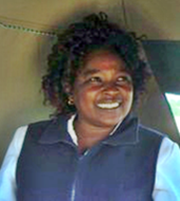 These Trusts evolved as a result of her growing concern about the degradation of Kenya's natural environment. She is strongly pro-life and pro-choice for all Kenyans, and she recognized that managing population growth and protecting the environment were one in the same. She shaped CHAT to become a vehicle to bring under-served communities in Kenya access using a holistic approach to family planning/contraception. She recognized this as both a prudent solution for the current environmental issues, as well as a desperately needed service that mitigates horrendous and unnecessary suffering and poverty (especially in women and children). Rose is a 47 year’s old married mother of three. 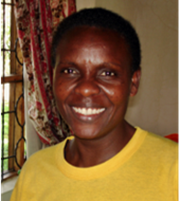 Originally from Kitui, she has been with CHAT for over eight years. She is certified in Monitoring & Evaluation (M & E) from Nairobi University and AMREF International, and has a certification in HIV/AIDS Counseling & Testing through the Liverpool Training Institute. She received her diploma in business management - majoring in Human Resource Management from the Kenya Institute of Management. Violet is a 33 year old single mother of two sons, the youngest being 7 years old. She has been with CHAT for four years, initially volunteering with them for one year. Violet holds a diploma in Social Work from the Kiambu Institute of Management and is currently pursuing a Degree in Social Development from the Kenyatta University. Her passion is to add value and uphold high standards of integrity in the development sector in order to help people escape poverty. She enjoys swimming and is the village champion! Onesmus is 35 years old, married and a father of two sons from Kyulungwa in Kitui County. He started working for CHAT in March 2017 as a Field Coordinator based in Samburu. He is a Bachelor of Development Studies graduating from Mt. Kenya University and has a Diploma in Medical Lab Technology. ​Apart from being a HIV/AIDS Tester & Counselor (HTC), he is also a Pastor and peer educator. He enjoys watching and playing football with his sons. Demoriah is 47 years old; single and has no children. She has however, supported several children from her home village in Kitui County throughout their schooling. 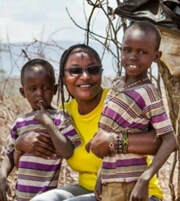 Prior to joining CHAT, Demoriah worked for World Vision, Caritas Malindi, Action Aid and the Kenyan Ministry of Finance. A Certified Public Accountant, Demoriah received her Bachelor's Degree in Commerce & MBA from Kenyatta University. Besides being a gospel music fan, Demoriah is passionate about accountability and transparency, recognizing them as mitigating factors towards alleviation of poverty amongst very vulnerable communities. Lucy is 40 years old, married and a mother of two children. Lucy earned her Certification as a Public Accountant, Level 2. She has been working for CHAT for 10 years, and is passionate about maintaining high levels of integrity and accountability in all that she does. ​Lucy grew up near Nanyuki on the slopes of Mt Kenya. In her spare time she enjoys listening to music. Anne is a 48 years old, married and a mother of five . She has been with CHAT since 2010. A certified Enrolled Community Health nurse from the Mathare Mission Hospital in Kitui County, she is passionate about patient care and has previously held positions at the Muhale Mission Hospital, the Mutomo Mission Dispensary as well as the Kamuongo Mission Health Centre. 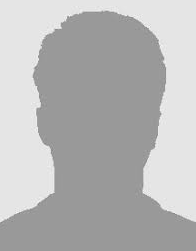 Baraza is a 24-year-old married father of two, a boy and a girl. 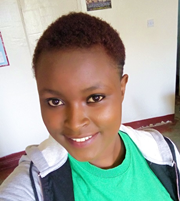 Hailing from Wamba in Samburu, Baraza is a Kenya Registered Community Nurse from the Consolata Wamba Nursing School and has been with CHAT for close to one year now. Baraza is passionate about serving the communities and is always happy when his clients leave happy after providing services to them. During his free time, Baraza likes to make new friends and listen to music. Peter, a 58 years old married father of four, has been with CHAT since 2009. A certified professional driver and motor vehicle mechanic, Peter previously held positions at ASAL Development, SARDEP and Vital Camel Milk. Peter is passionate about assisting under-served communities in order to help alleviate poverty. It is agreed by the whole CHAT team that Peter has to be one of the most cheerful and good natured people we know! 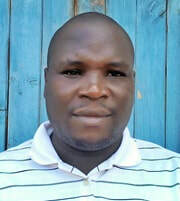 ​Originally from Manga in Kisii County, he likes to read the bible and listen to music during his free time. 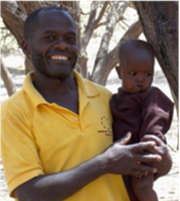 Victor started working as a partner to CHAT in January 2017 when he acted as a Family Planning Community Own Resource Person (CORPs) implementing a Door to Door Back Pack Strategy in and around neighboring communities in the Samburu Central highlands. In May 2017 he joined CHAT as an employee and now works with motor mobile unit as a Nurses Aid. ​Victor is 57 year old, is married and a father to seven children. He is an ex-soldier and trained as a HTC Counselor at Sirata Oirobi Dispensary – in his home village in Samburu County. He is also a pastor and his passion is not only to provide spiritual counseling, but also provide family/couple counseling. He is a keen sportsman. Paula is a single 23 years old. 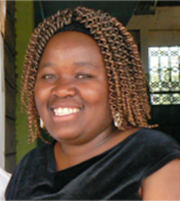 Paula attended the Kenya Institute of Management where she majored in Project Management, obtaining a diploma. She previously worked at Vumbua Arts gallery as a gallery assistant. Paula has now been with CHAT for a period of one year, initially having started with CHAT as a volunteer. ​In her spare time she is a keen farmer. Sue has been with CHAT since 2012. She has four children and ten grandchildren and lives in Katuni estate near Buguret in Laikipia County. Being passionate about accounting you will always find Sue doing accounting jobs from her home. 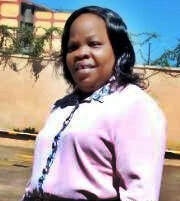 Proudly a Kenyan native, Sue attended Thomson's Falls School, Limuru Girls' School and the Kenya High School. She likes to walk her dogs in the afternoons and also attends Christian meetings when free. Diana has been with CHAT for six years. Previously, she worked as an assistant accountant in the aircraft industry. 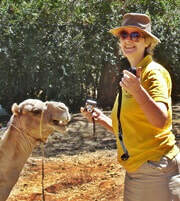 Hailing from Yorkshire, England, Diana is married and she is passionate about animal rescue. She is a Certified Fellow Member of the Association of Accounting Technicians in the United Kingdom. 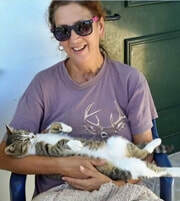 Presently Diana’s home is in Crete Greece.